Hiking is a wonderful way to spend your free time, but who doesn’t see a serious challenge when interrupted by an agitated river or stream? Getting from point A to point B is often made difficult by the fact that a stream or a river crosses your path, and reaching the other side can be less than a comfortable experience if you do not know how to ford a river. However, as long as you know a couple of tips and tricks on how to cross a river the right way, you can stay safe and avoid any accidents happening. 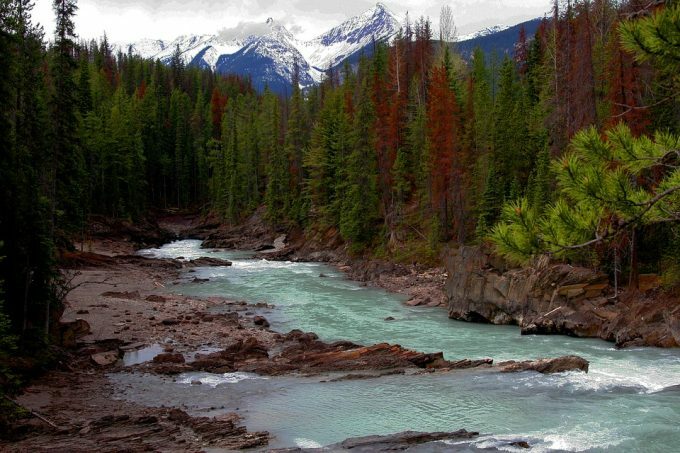 Since fording a river the fastest and safest way is always a priority for a real hiker, we created this guide. 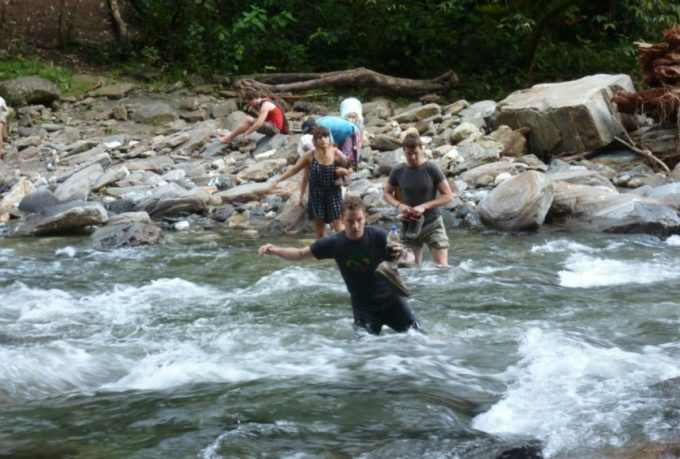 In this article we will give you a handy step-by-step guide to look over and make certain that next time you will come across a river, you will have all the necessary knowledge at hand to cross it without being interrupted by an unpleasant experience. Keep reading on to learn more! We have heard this so many times before. People boasting about how fast and easy they can cross a stream, without feeling the need to properly secure themselves or their belongings. 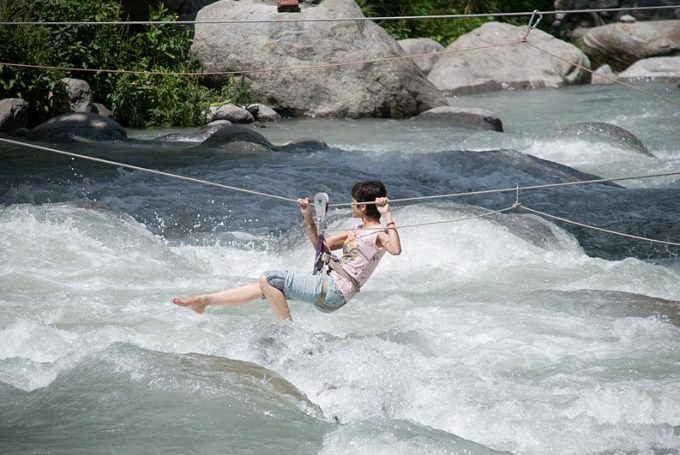 Everyone has at least one friend who prefers the fast and often acrobatic approach for crossing a river. But the unfortunate truth is that even a fairly mild-looking stream can hide many dangers, and people often suffer injuries, or worse, die. The best way to get ahead of this is to be properly prepared. This is both true for the equipment we pack and the mental state we reach. Before even thinking of venturing into the deep end there are some preparatory measures you should take. We tend to prepare for everything in life (from fire drills to wedding vows) and this should be true for river fording as well. As a tracker, you will know that most wild lands have pre-defined routes that you can take. This is also true for river crossings. There is only one problem with this approach. 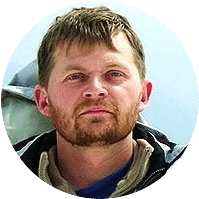 Rivers are not the most stable elements of nature, as they change their water output, bed layout and the amount of debris they carry on a daily basis (depending on the weather or human interference, this might happen at an even faster rate). Depending on the season, a designated river crossing spot is either the perfect place or the most dangerous one. Take your time and walk up and down the stream, even if it means to walk a couple of extra miles. 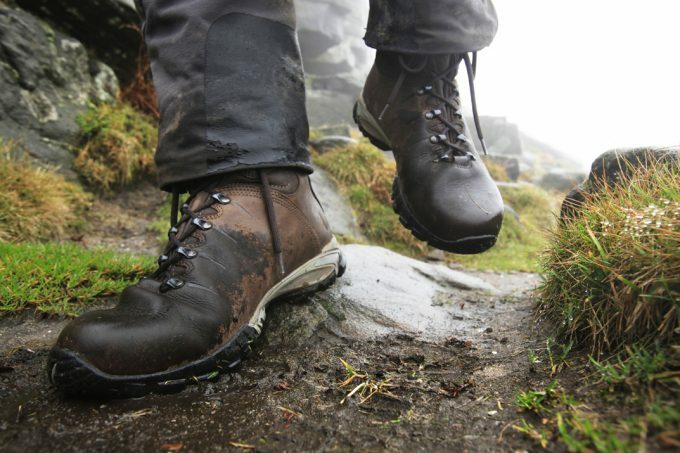 The time it takes to find the perfect fording spot is not wasted, as it can save you hours of uncomfortable walk in wet equipment, something that is especially horrifying during cold weather. Search for the widest possible point, as water is usually shallower at that spot. This means that currents are usually weaker. Because of the water depth, chances to fall over are far less likely than in deeper spots. Small, rocky islets in the middle of the stream are good signs, as standing behind them is a great way to rest and plan in which direction to go next. 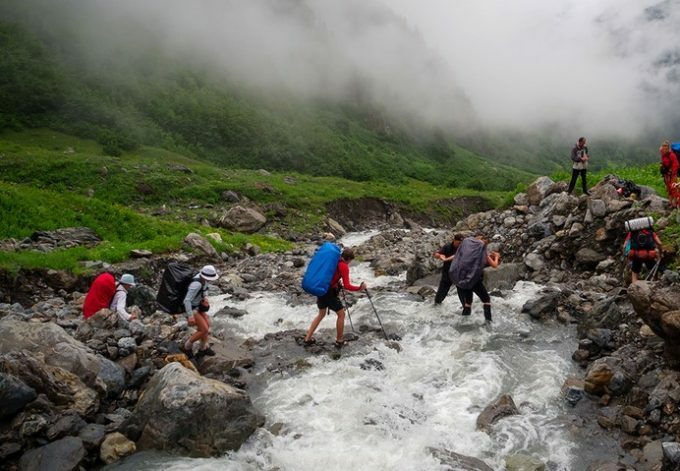 As you might already know, crossing a stream in a deep segment is not recommended. We have seen many people do it, not knowing the dangers they put themselves out to. Anything that is above waist height is downright a stunt that is waiting to go bad. In deep water, you have absolutely no visibility of what is under your foot. You might perceive that you are perfectly safe, but in all honesty, your eyesight won’t really help you. Putting on some blindfolds could probably result in the same level of success. Your feet should quickly become your eyes in this situation. Unfortunately, low visibility is not the only problem you will face. The more of your body is underwater, the higher the chances are that you will lose your balance and fall. If you carry things that weigh you down, this is something that is even more likely to happen. Our recommendation is to always search for a crossing where you never (and we mean it!) get waist deep, and if you do, turn around and search for a better fording spot. Again, this might seem like wasted time at first, but it can save you from tons of problems. If a crossing seems especially dangerous to you, often it means that it actually is, and it’s not only an optical illusion. But in this case, your hike might get interrupted for good, and you won’t reach the desired destination. In cases like this, the best solution is to try to find a ferry or zip line. Many national parks do offer these services, and oftentimes they are free of charge. 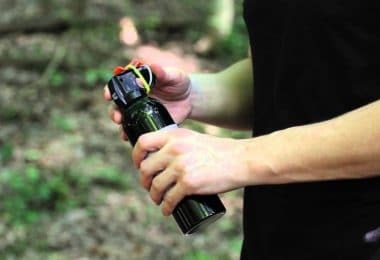 Yes, it might not be considered the manliest thing ever (many hikers look at this as cheating), but look at them as simple crossing tools like any others. Just to be on the safe side it is better to look it up before going into the wild. A ferry crossing can save you a lot of time and could be the best (or only) option to reach your destination. No matter how well prepared you are to ford a river, you won’t be able to do it if you do not possess the necessary equipment. So let’s take a look at what should we have with us for a river fording and how to prepare for the crossing. It might sound silly at first, but preparing your equipment for a river crossing can be just as important as preparing yourself. When going out for longer hikes, the quantity of equipment we take with us can often be staggering. 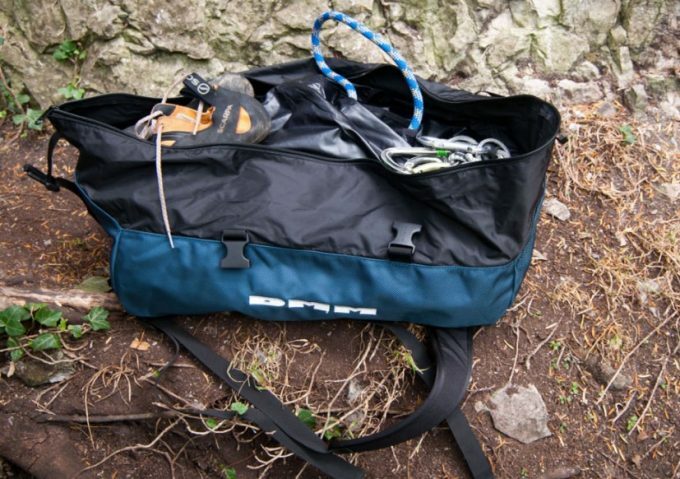 Making sure that it doesn’t get wet is important for two reasons: it helps to protect all the sensitive equipment you dragged with you, and it won’t take on several pounds of unwanted weight when you are in the middle of a stream. Water can fill up your backpack in a matter of seconds, and you will find yourself carrying double the weight you had before. Be certain that everything that can break down or go bad (like cell phones and food) is secured in a watertight environment. Often a simple plastic bag will do the trick, but to be certain, you might want to invest in watertight recipients as well. You might also want to re-arrange the content of your backpack. Everything that is prone to water absorption (like clothes or sleeping bags) should always be put on top. If those get wet, the chances of an easy crossing will drop, and on top of that chances are that your spare clothes will also get wet, and believe us that drying them near a campfire is not a pleasant task. Packing every clothing item into plastic bags is also a good idea. 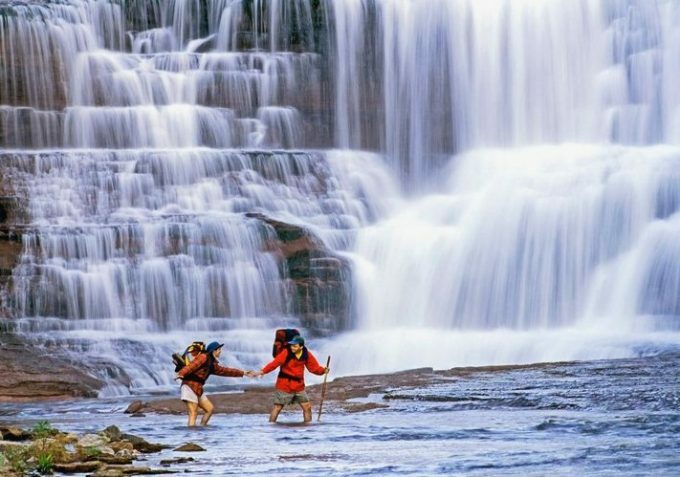 This is not only recommended for river crossings but as a general hiking rule as well. 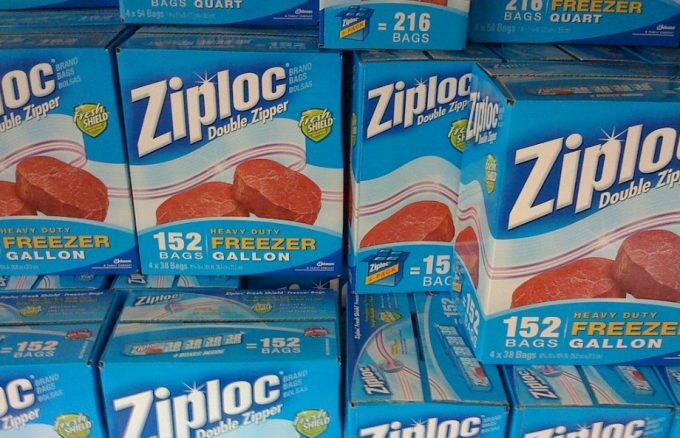 A simple plastic bag might not hold out every drop of water, but it will mostly be enough. There is also the option to buy some airtight plastic bags if you do not mind spending the extra cash on them. They are reusable, and you can use a vacuum machine to pack everything tightly and in a waterproof manner. Do not forget to release the hip and chest straps on your backpack. It will make the entire pack a bit more wobbly, but if you do fall over, and weight becomes an issue, you will be able to get rid of it fast. Don’t forget: recovering it later is only an option if you stay alive. 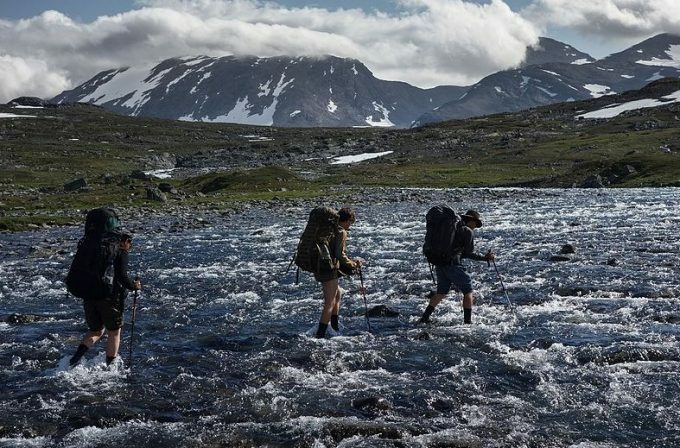 When you finally found the best point to ford a stream or a river, the first thing that will cross your mind will be the wet feet syndrome that will torment you for the next couple of miles. It’s irritating and many people try to overcome this by simply packing a pair of flip-flops or sandals and bravely venture into the water. We simply cannot underline just how bad of an idea this is. Foot protection and stability are key points of managing to reach the other side without suffering any physical harm. Sandals might sound like a good idea, but they tear easily and the chances to hit your toes on a rock or get them stuck between two boulders increases with every step you take. Option 2 and 3 might sound a bit expensive and cumbersome, but they are the best ways to deal with this kind of problem. Also, when it comes to option #2 you will never know when an extra pair of boots will come in handy. Yes, we know, the more we go forward with this list, the more equipment is piled up in that big backpack that sits in your mind. But whatever equipment you might expect that it will be a lifesaver, nothing quite beats a personal flotation device. This is a fancy name for a life vest (there are some minor differences in meaning between the two in the kayaking community, but in most cases, they can be used interchangeably). The good news is that these devices are fairly lightweight, so carrying them with you won’t be an issue. Also, most of them come in nice, small packages, and you can inflate them on the spot, so you can save some space as well. 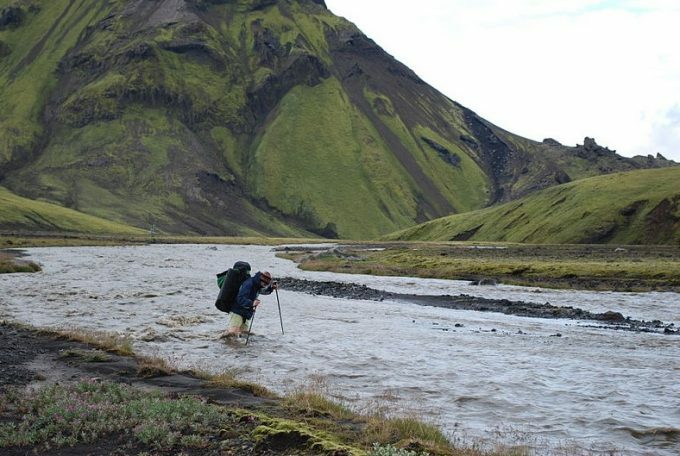 A walking stick can do miracles when it comes to river crossings. 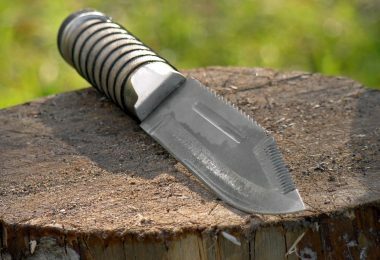 You can choose either a professional one or search for a sturdy one in the woods. Both options will do the trick. When you enter the water always try to place the end of the stick on the upstream side. This way the current will force it down and you will achieve a far more stable position. Always wait until you managed to get your footing, before making your next move with the stick. If it gets stuck between some rocks be careful how you pull it out. 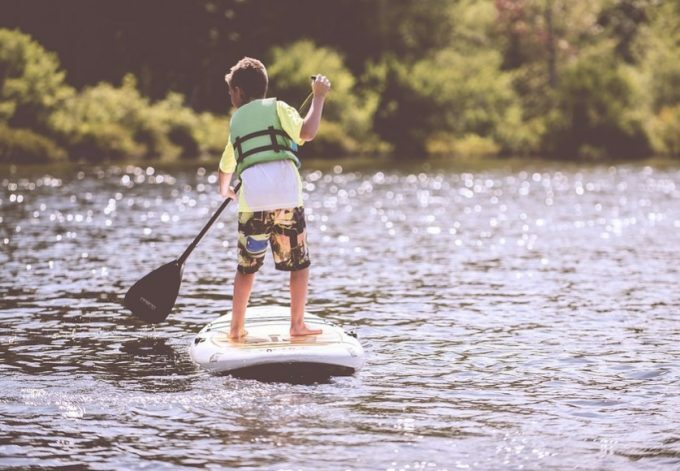 Making a quick and powerful gesture can throw you off-balance, and in that case, even if you manage to remove the stick, you will more than likely fall into the water. 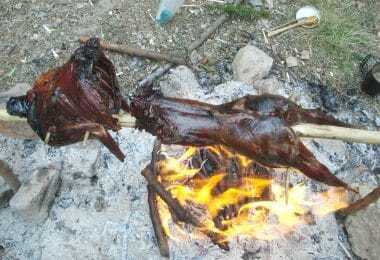 Oh, and when we are talking about sticks, they have one other very good use. Checking the speed of the currents can be done easily by throwing a small one into the river. This will give you a good idea on how fast the rapids are. It’s amazing just how versatile a little piece of wood can be. Sometimes even if we are perfectly well prepared for a river crossing, surprises might arise. In this case, the parachute award of river crossing goes to the rope. It might sound like over-preparedness, but it is still a great way to secure yourself. Don’t tie the rope around your waist (or god forbid leg or hand). Always attach it to your backpack. This way if you fall over you will have a good grip to get up, and later you can easily salvage the pack as well. The other end should always be well secured. This can be done either by one or several reliable people or by tying it to a tree. If you do decide to go with the tree, always do a stress test on it, just to be sure that it won’t fall over or break (pushing it hard with your boots will do the trick). Hiking is often done in groups of several people. This way you won’t have to face the dangers presented by Mother Nature alone. Here we will show you some crossing techniques and how they differ when crossing alone or in a group. In a fast-moving body of water always try to cross at an angle. You should go downstream but face the other direction. This way your body will act in the same way as a stick. The crossing should be done at a slight angle and by stepping sideways. Try to lean slightly towards the current. Take several breaks – don’t forget this is not a horse race. Always have two points of contact with the river bed. This can be done by having a stick with you. Never have just one stability point. Whatever happens with you, do not panic. When crossing a river alone, you have nobody to rely on for help. In this case, your own common sense will have to be the lifesaver. Clear your mind of every negative thought, and concentrate only on the task at hand. There are some obvious perks when crossing a river in a group. Your stability is better and there is always somebody on whom you can rely on for help if the need arises. When going in a group, the strongest member should always go a bit upstream, so he/she will break the current for the ones being downstream. Stay close to each other (the distance should not be more than 2 feet from one another), if you have enough people try to form a triangle or a zigzag pattern and follow the same crossing rules as the ones you would alone. You can also hold hands, or better yet, hold on to each other’s equipment. 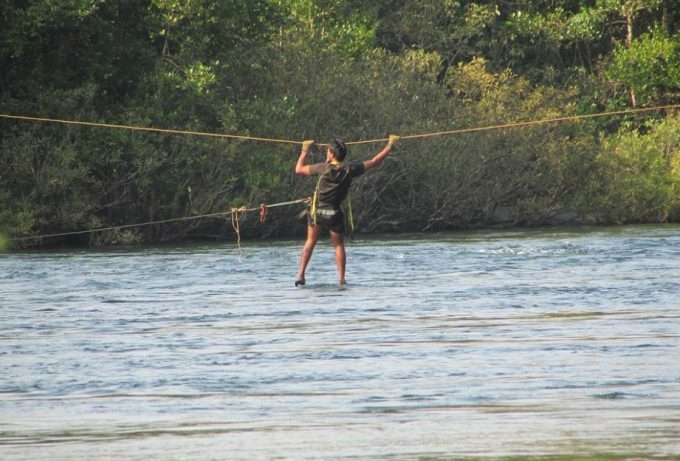 Tying yourself together is only a good idea if the rope is tied to a solid point at least on one side of the river. Otherwise, this action is not recommended. If one member falls the rest could follow as domino pieces. For every “good” example there is plenty to learn from bad examples and decisions as well. Next, we will look at some of the DO NOT actions that you should avoid doing. People often do the mistake of crossing rivers at chokepoints, as that is the narrowest path to the other side. This is where the currents are the strongest as well, so you should never do it there. It might be tempting to look at a narrow passage and think that from three good jumps you can make it, but believe us, the risk is just too high. Always try to go lower than the chokepoint (never above it) to reach a proper crossing point. Yes, it might be a longer walk, but the current is far less likely to push you over. This is a tricky one, especially if you hike during winter, or in case the tracking route is filled with perils and it is recommended to wear protective gear. But then again, packing some spare shorts should not be a big hassle. 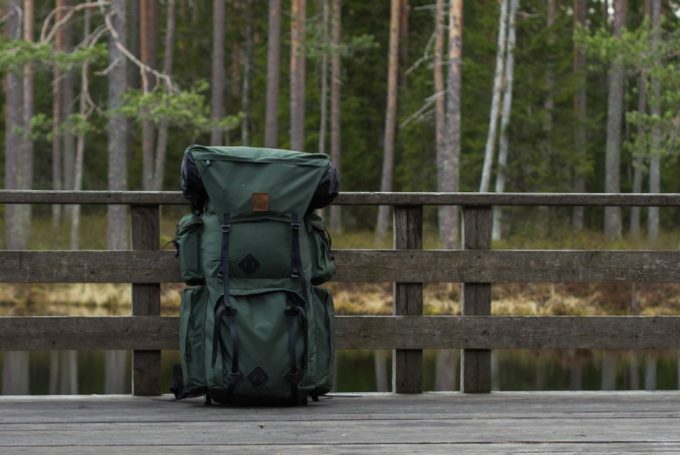 Clothes, just like your backpack can quickly absorb a large quantity of water, and if this happens you will soon face a situation where you will drag several pounds of extra weight on your legs. Not the best solution when crossing a stream. This is a well-known rule when it comes to heights, but it is also true when we discuss river crossings. 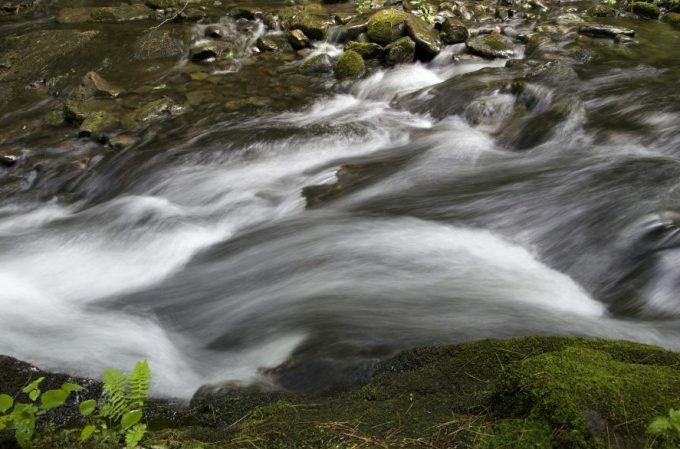 The truth is that looking at fast-moving water can be disorienting and make you outright dizzy. Always stare at the closest point you want to reach, even if that point is only an imaginary, arbitrary one. As soon as you reached that point look for the next one. As we discussed it earlier, your eyes won’t really be able to tell you what your feet will feel. Falling is natural, and the best advice we can give you (if you happen to be in the middle of a stream) is not to panic. If you feel that the backpack is dragging you down, simply remove it from your back and let it go. Right after this, you should try as hard as you can to get back up on your feet. If the current is too strong and it takes you with it try to get your feet towards the downstream and stay on your back, with your head raised. This way chances to hit yourself severely will be reduced. As soon as you reach a calm spot simply swim out of the water. Now (and only now) you can start looking for your backpack. Fording a river is not an easy task by no means. As you can see there are plenty of hidden variables when it comes to it, and even a seemingly small stream can produce the most unwanted accidents. But with the proper equipment and information on hand, the risks involved can be reduced considerably. We hope that now you are equipped with the proper knowledge to get to it, and have a pretty good chance of completing this task without a hitch. Next time you will be on a trail and get to a crossing, we hope you will remember us, and use all of our advice in a wise manner. As always, if you are an experienced adventurer and you feel we missed something in this article please do share. When it comes to dangerous hobbies like ours, one can never have too much information at hand.